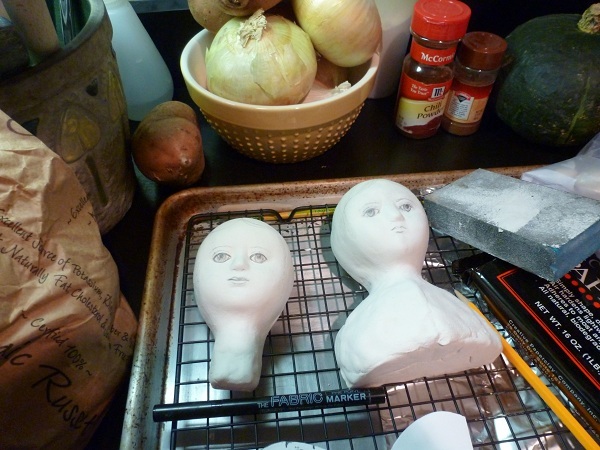 My "sculpting studio" is to the left of my stove. So Izannahs-to-be hang out with chili powder I borrowed from my neighbor along with onions and sweet potatoes. This shot would not make it in Where Women Create or Studios magazine for sure. It's a slice of life. And I am proud of myself for doing some creating in what has been a challenging couple of weeks.